At Celuch Creative Imaging, we requently use "real" people as models in our advertising photography. We have been using local talent for many years now to help our clients receive high quality, original photography without the high costs of bringing professional talent from outside our area -- where travel costs alone can be prohibitive. We are constantly looking for people of different ages, races and ethnic backgrounds. Most of the jobs can be worked around your home, work, or school schedule, and nearly everyone we have used in the past has had a great time during the photoshoots. No experience is necessary... and we are not just looking for beautiful people. We have found that two things make a person photogenic - being comfortable in front of the camera, and having fun during the shoot. We can't promise you will get rich working with us, but nearly all jobs are paid, and there is no obligation or cost to you in any way. And, if one of our clients would like to use you for a job, you also always have the opportunity to decline. If you are interested, please read over the Become a Model section at the right. If you're interested in modeling for us, please fill out our online Model Information Form and include a good recent portrait or photograph of yourself. If you'd like to have your photo added to our collection of models, please make sure you agree to the consent on the form. (If you are under 18 we'll need your parent's permission). You can give us a call at 330-339-6777 to get more details. 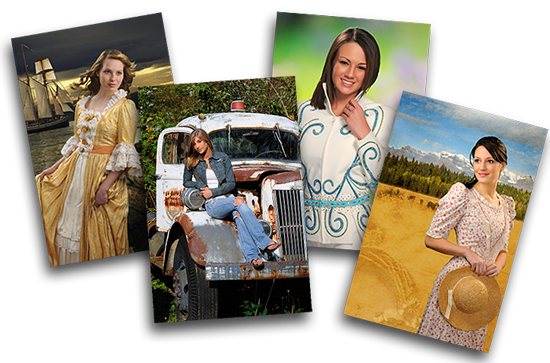 View our photogenic local friends that would love to work as a model for your job.